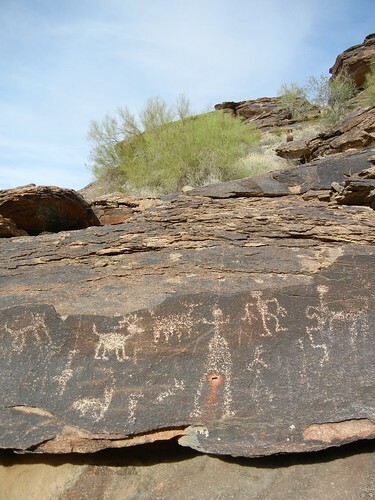 I went for a hike last weekend to see what the desert is currently producing. 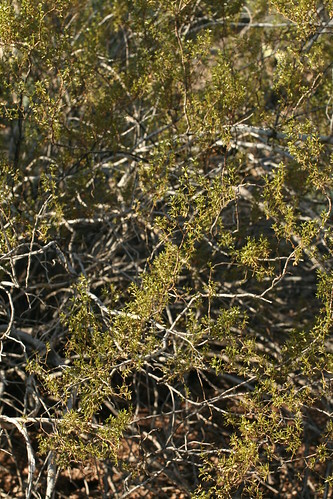 There are no pods yet on the mesquite, and no wildflowers yet. However, I did see several Ocotillo plants in full bloom. According to Herbal Medicine of the American Southwest by Charles W. Kane the bark and flower can be used to dislodge phlegm, sedate a cough, provide relief to hemorrhoids, encourage circulation for prostatitis and simulate menses. Being a real man, I had no idea what “simulate menses” meant, and had to google it. I discovered it means “the monthly flow of blood and cellular debris from the uterus.” Why anyone would want to simulate this is beyond me. I have been using myself as a guinea pig for all the medicines I have been gathering. Luckily I don’t (currently) have hemorrhoids or an enlarged prostatitis. I would also expect it would be difficult to find a woman who is willing to volunteer to drink plant bark in order to, you know, simulate the return of Miss Scarlett. But I am going to collect some of the flowers and bark anyway. 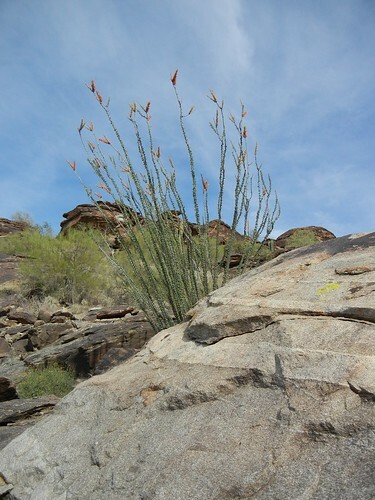 As a coincidence (I am reluctant to call it a sign) the Ocotillo plant I photographed above was right beside the petroglyph photographed below. I have long wondered if the central character in this panel represents a woman going through her monthly cycle. 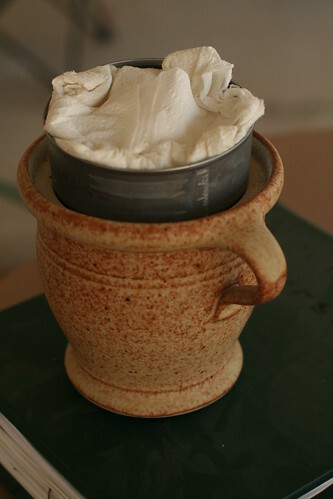 Update: This link shows how to make Homemade Sanitary Pads. While I was trimming the mesquite trees this weekend I was stung by a bee. I have always been nervous about bees since I was stung as child and swelled up like Charlie Sheen’s head. Also, once in Oaxacca I ate a bunch of grasshoppers and woke up that night covered in hives, and sweating bullets. I figure if you are allergic to one type of insects, you should best avoid the whole bunch. But I did not swell after this bee sting, I did flick versus slap the bee at first hint of sting, which helped (thank you survivorman). I debated using creosote to clean my wound. I decided against this as I wanted to see what happened with just the bee sting. I did, however, use creosote for another purpose. After prepping soil and getting seeds in the ground for tomatillos, squash, bush beans and the pole beans, the backyard had a lot of insects flying around. My guess is the liked the manure. So I started a smoky little fire with paper, cardboard, and creosote to run them off. It worked amazingly well and smelled kind of nice too. 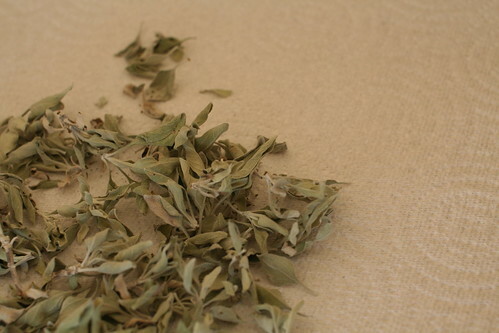 I have succesully turned Brittlebush and Creosote into medicine. I have yet to actually try either of the medicines yet. I am a little scarred they might kill me. 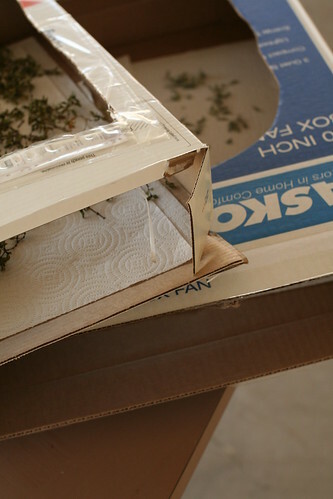 I cut a large hole in the top of two thin rectangular boxes and dried the leaves and stems in the boxes. Creosote on top and Brittlebush below. 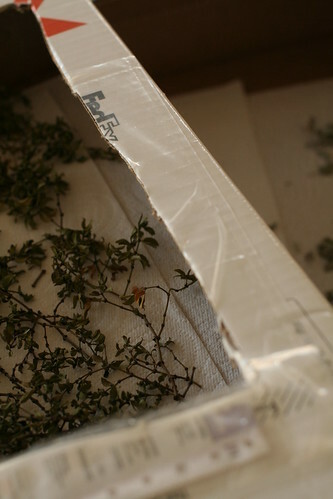 I put a paper towel between herbs and cardboard because I am not sure if cardboard would hurt the herbs. Is there some kind of weird die in cardboard? After crunching the plants up in my hands there was a lot less of each. I had not gathered nearly as much as I thought I had. 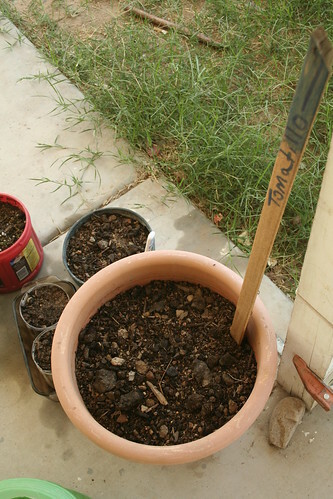 Creosote is being stored in the old tuna can and Brittlebush is being stored in the clay pot. 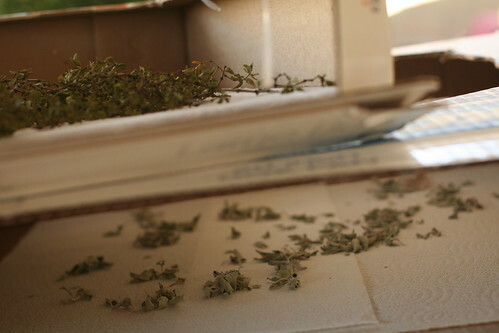 Turn Brittlebush leaves into medicine. A couple of weekends ago I went for a hike and saw the desert has a ton of brittlebush right now. 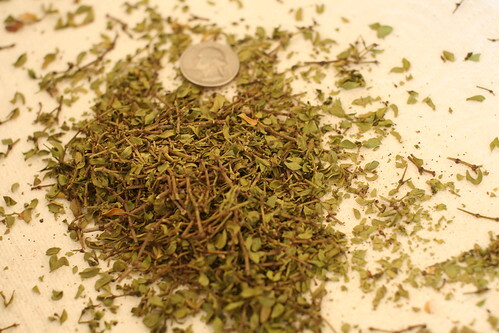 I gathered some leaves and have dried them out, so now I think I am supposed to mash them up or something. While doing research I learned the sap from brittlebush can be used as incense and/or gum, which I think is pretty cool, so next time out I might see how much sap I can gather. 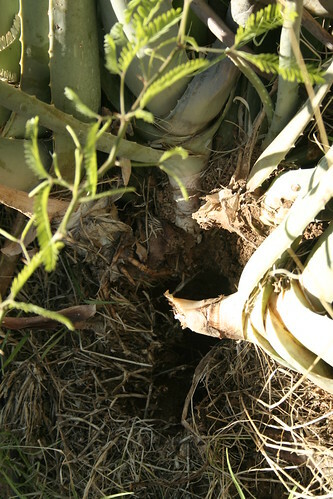 Build a solar still, which will involve digging a wide hole. 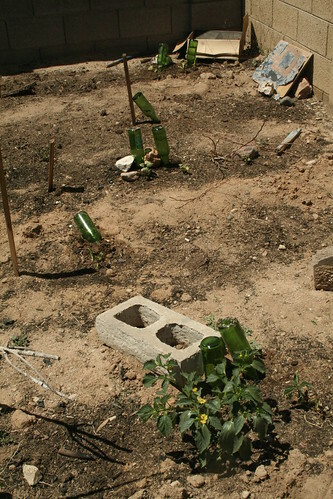 One is supposed to dig in a place that would have water in the soil, but as I am doing this in my backyard, I am going to supplement the water still but putting in weeds and sucking the water out of the plants. Use shadow of stick to figure out which way is west. Prep for the no grid water for the weekend experiment. Gather pine needles for composting toilet. 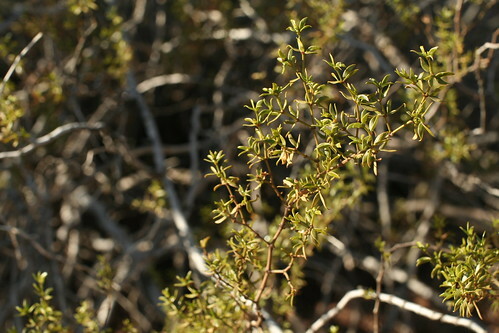 Begin gathering some Creosote Bush stems. According to Survivorman, one can burn the stems in a fire and the smoke can be used to clean (or rather disinfect) oneself. The plant makes its own chemicals that make animals and insects not want to eat it, and these same chemicals can be used to disinfect oneself if you don’t have any water. 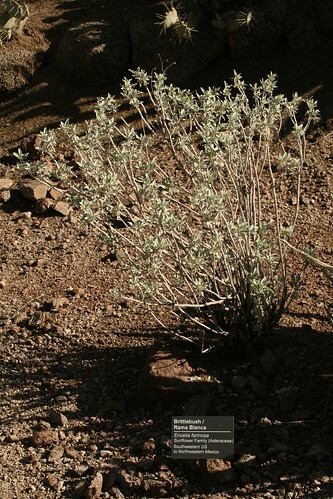 It is also one of the few desert plants that can be used for toilet paper in a pinch (bad pun intended). One a side note, the plant is a virtual medicine cabinet for many other uses as well. Maybe make some tea out of it? 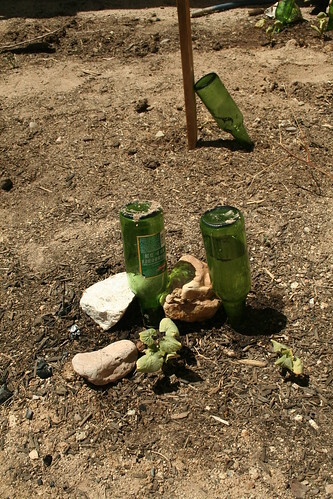 Creosote is so good at repelling harmful stuff, I wonder if it would work on Zombies?